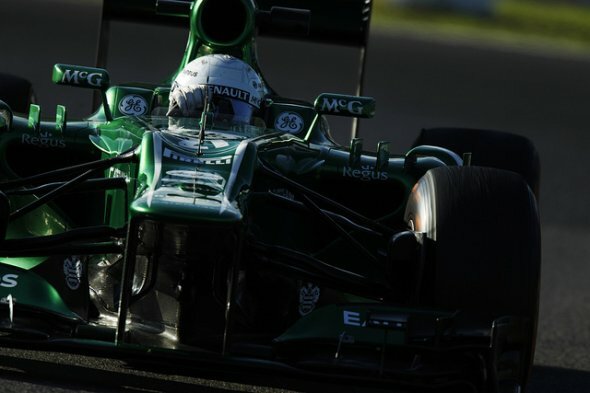 Giedo van der Garde reckons that the anticipated high temperatures for next weekend's Indian Grand Prix will aid Caterham's progress. Van der Garde, who drove in FP1 last year at the Buddh International Circuit, is hoping to make amends after crashing out in Japan. The Dutchman revealed that his impact into the barriers on the first lap registered at 20g. "It’s a proper drivers track, one that has elevation changes and a few really challenging corners and there’s a couple of overtaking opportunities, especially turn four at the end of the long straight," said Van der Garde. "It’s going to be hot and hotter track conditions have suited us all year so the aim is to maintain the gap to our nearest competitors throughout the weekend and get back to fighting cars ahead on Sunday afternoon, putting ourselves in a position to take advantage of anything that happens up ahead." Team-mate Charles Pic believes that the dusty track surface could prove a challenge for drivers. "It’s a great track, one of the best of the modern era," he said. "I had a strong race there in 2012, particularly at the start where I made up five places, so the aim is obviously to do the same again in 2013 and keep pushing the teams ahead where we can." "The track itself is a good mix of a few quick bits, especially into turn five and through ten and eleven for example, and a bit more stop/start like turns one, two and three, but the main thing is to find a good rhythm around the whole lap to get the most out of the car, like Spa for example." "As the track evolves so much over the weekend you don’t really find the quickest pace until qualifying and then the race itself as the track is so dusty on Friday, and then again on Saturday morning. They did make some improvements last year to help manage that, including washing the track each evening, so hopefully it will be better again this year."